Cloud-Based Voice over Internet Protocol (VoIP) Business Telephone Systems from H&R TELEPHONES located in West Chester, PA. Does your business rely on the telephone? With H&R Telephones, you can cut the cord to your traditional phone system and move to a cloud-based hosted system. A hosted system (PBX or VoIP) utilizes your broadband or leased-line connection. The hardware and software needed are housed at a remote location and are managed by the IT experts at H&R Telephones. Using a hosted PBX makes it far easier to expand or upgrade your telephone system because there is little if any new infrastructure needed at your local office. Customers that use a hosted PBX or VoIP enjoy lower costs, excellent call quality, increased production, simple incorporation of remote users, scalability and business-specific features that improve efficiency. A hosted PBX gives small and midsized companies affordable access to these features without the high costs that go along with a legacy system. VVX®400 Business Media Phone These color 12-line mid-range phones are for today’s office workers and call attendants who depend on crystal-clear communications. Give your call attendants a high-quality, cost-effective UC solution that will handle their moderate call volume and provide them with the advanced telephony features they expect from a modern media phone. H&R Telephones also supports a wide variety of conference phones. 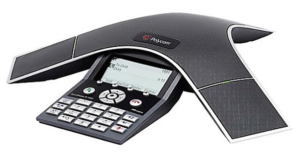 We recommend these three Polycom IP Soundstation conference phones. 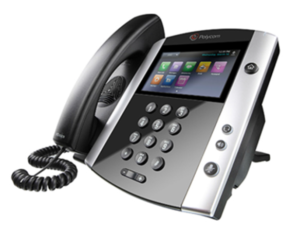 Polycom SoundStation IP 7000 (pictured here) delivers astounding voice quality and clarity from the world’s most advanced VoIP conference phone. 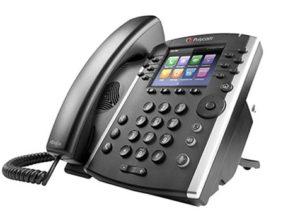 Polycom SoundStation IP 6000 is designed for midsized conference rooms and delivers remarkable HD voice clarity. 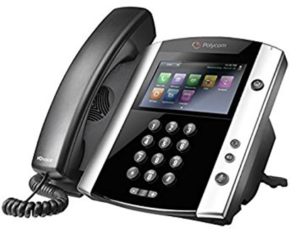 Polycom SoundStation IP 5000 is designed for small conference rooms and executive offices. Jon, Alan, and all the H&R professionals always have our business interests at heart. Like so many businesses, a good telecommunication service is critical. We live and die by our ability to connect with clients. H&R fully understands our business needs, and, more importantly, knows how to tailor their products and services to fit those needs. Their knowledge is invaluable. Their products are superior – no “under water,” fading in/out, or dropped calls. Their customer service is far and away the best we’ve experienced! Always a live, friendly, and knowledgeable technician to answer our calls. They offer practical solutions based on our needs and are always professional and courteous. In short, H&R offers the best. We highly endorse H&R.